Home Food Adventures Orchard Central: What to eat! Have you ever had a day out in town with your friends, then someone says “what should we eat today?”. It’s always daunting at that point to think of places to dine at—even when Orchard Road is full of restaurants to visit. The next time you’re in that dilemma, head to Orchard Central! With over 30 food establishments in the mall, it’s easy to pick a place that everyone will enjoy. Check out some of our favourite picks from OC below! 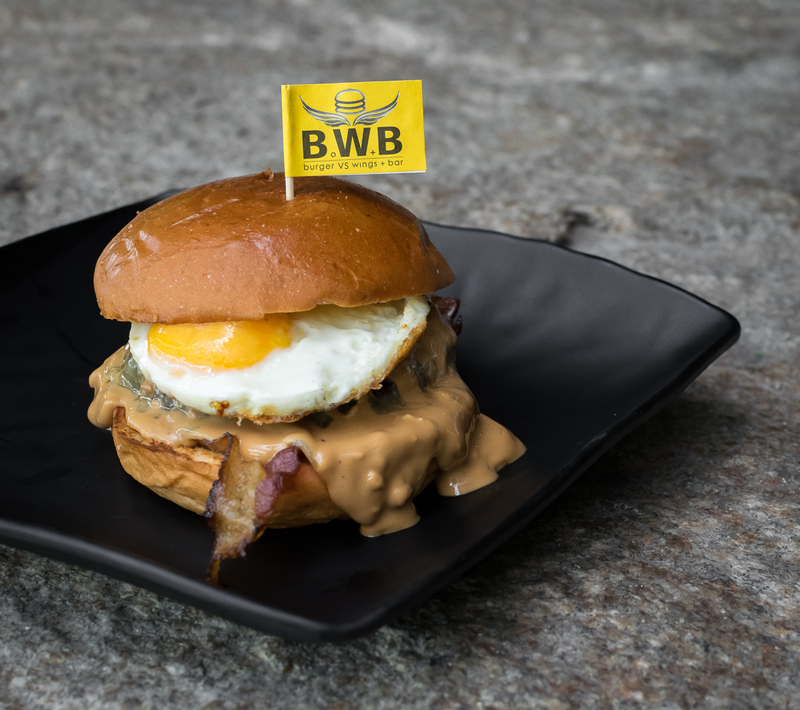 Nestled on the 11th floor of Orchard Central and as it’s name suggests, this is the perfect casual dining spot for burger lovers. Chill out in air-conditioned comfort indoors or hang out alfresco style with a beer from the outdoor bar. Surprisingly, out of the 3 burgers we tried, this was out favourite! The peanut butter wasn’t overly sticky or crunchy and it brought all the flavours in the burger together so that the bacon wasn’t too salty and the juiciness of the beef patty was preserved. We would definitely go back for this comforting burger again. This is the burger with everything! 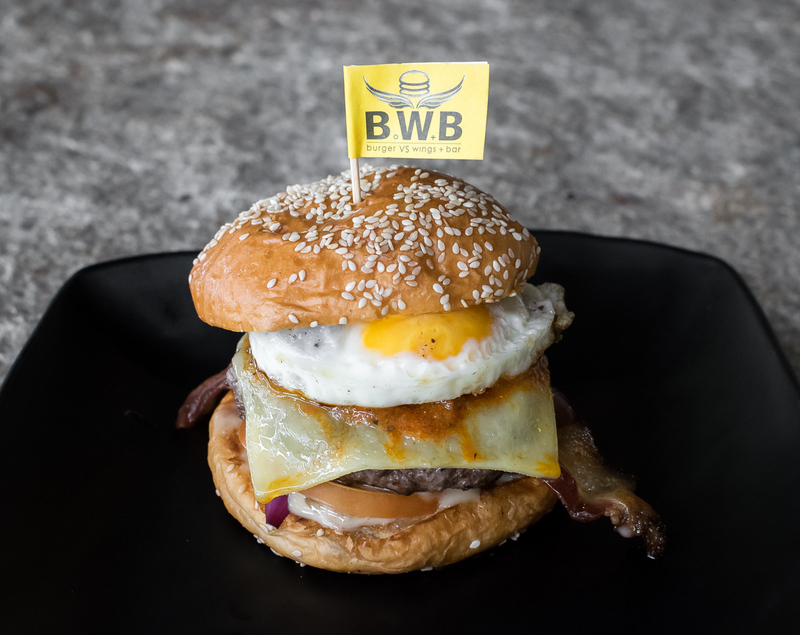 The BWB Classic Heavyweight ($19.90+) comes with an Angus beef patty, bacon, sunny side up egg, tomatoes, onions, cheese, chilli con carne and french mustard between a brioche bun. With so many elements in the burger we were afraid the flavours might be overwhelming, but the sauces and juicy patty prevented the burger from tasting dry and we got a taste of the different sauces layered thought the bun. Best to have this when you’re super hungry! Looking for a burger to satisfy your lunch hunger? 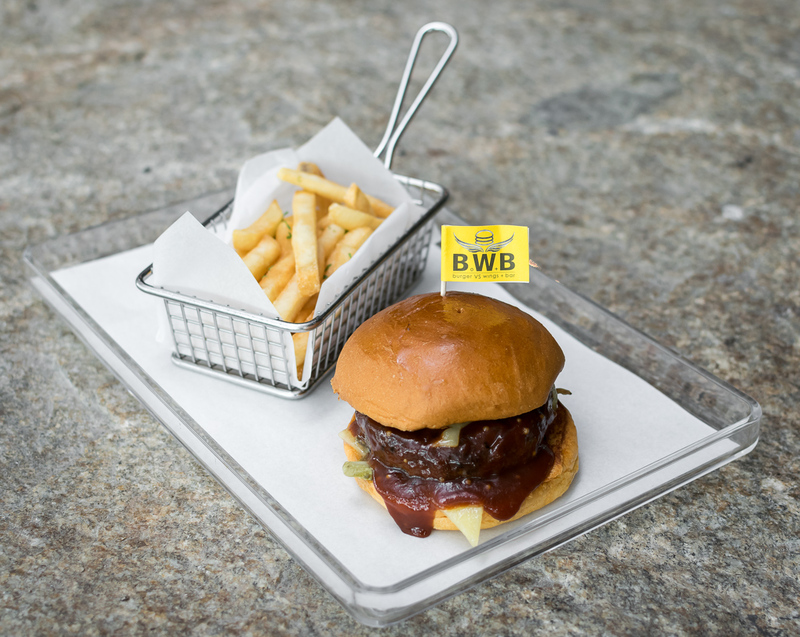 BWB offers Set Lunches at just $11.90+ from 12pm–3pm daily. Choose from either a Buttermilk Chicken & Chopped Slaw Burger, Salsa Dory Burger, or the Handpressed Burger with Cheese. Each set comes with fries and your choice of soda. A very worthwhile lunch set in the heart of town with no service charge! This Handpressed Burger has caramelised onions and gherkins that add sweet and tangy flavour dimensions to the juicy beef patty. 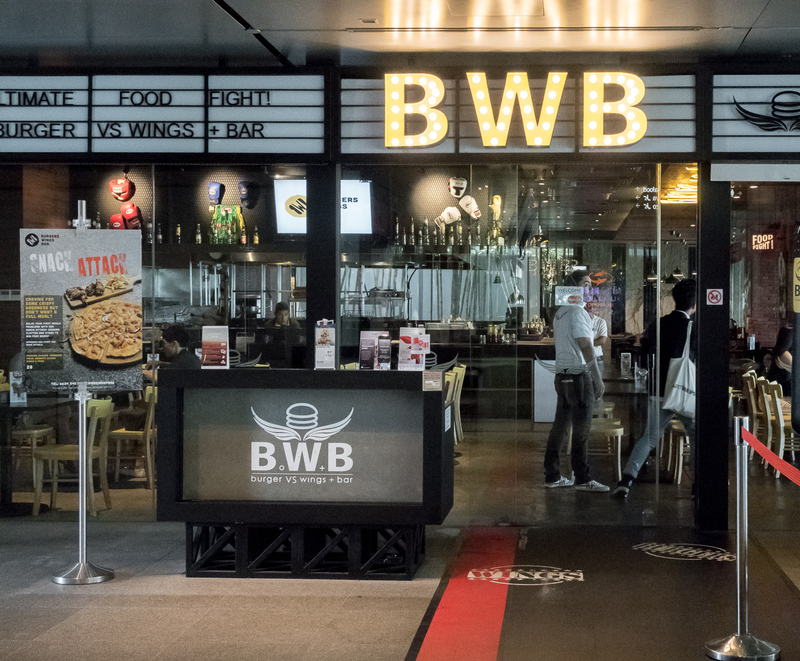 Apart from Burgers, the other star at BWB is of course their wings. Choose from options like Hickory Smoked BBQ, Coffee Marmite or Chilli Crab Sauce. We tried the Hot Buffalo Wings ($15.80+) which is available in 3 levels of spiciness: mild, medium or suicide. We went straight for the suicide level buffalo wings because… why not? We found that these wings are more suited for local tastebuds as the wings had a less tangy vinegar flavour compared to some other buffalo wings, but with that being said, we know a lot of our friends who would enjoy this toned down version as they’re usually overwhelmed by the traditional sourish buffalo wings. 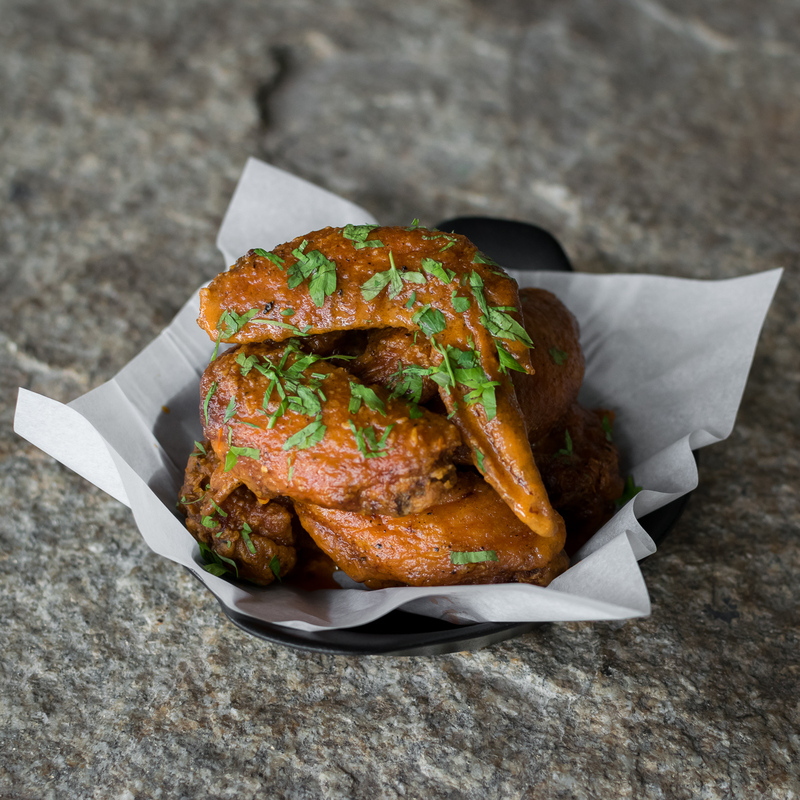 Those who love chilli padi level of spiciness will find that these wings aren’t super spicy as the name suggests, but we find that in general, the spiciness level is adequate so that we get to enjoy the flavour of the fried chicken wings too. 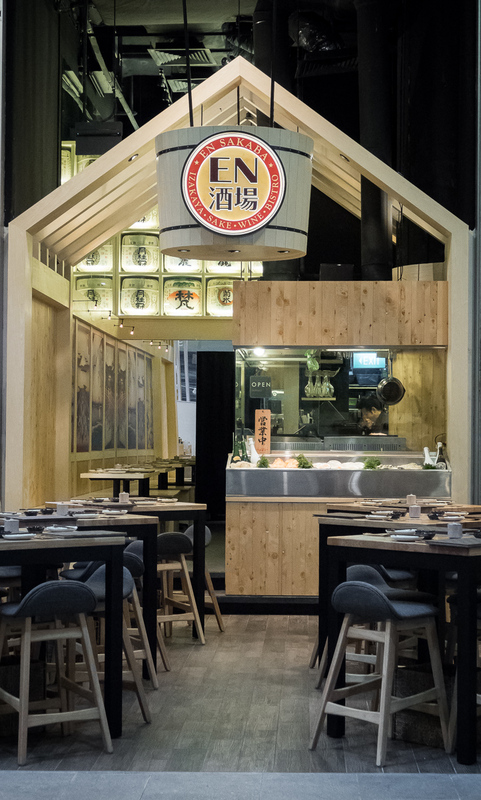 New to Orchard Central, En is definitely not new to the food scene and is well known for their quality Japanese cuisine. Each outlet is slightly different. This outlet at Orchard Central focuses on Sakes and simple yet decadent seafood dishes. 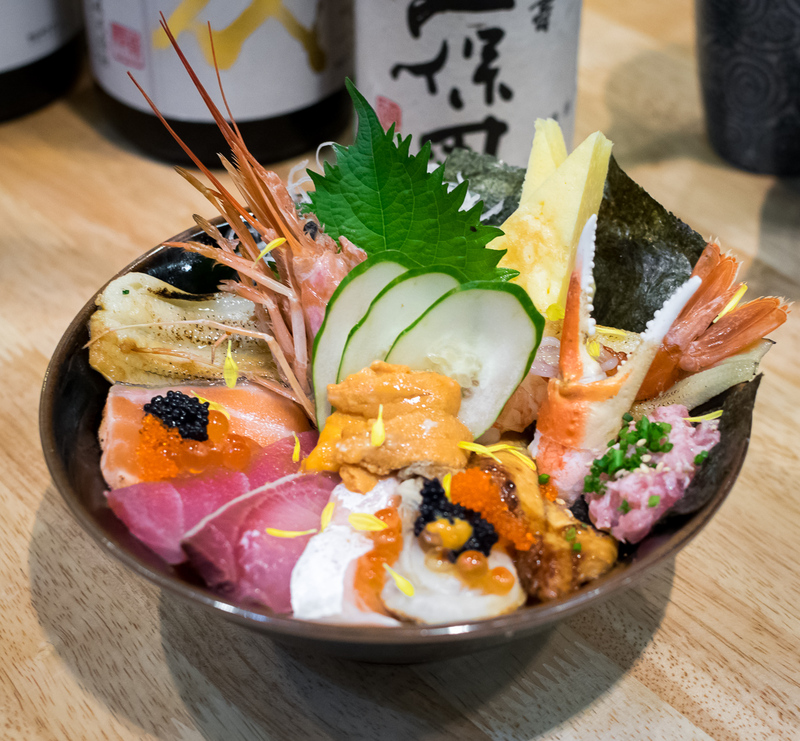 We tried the stunning En Kaisen Chirashi Don ($30.00++) as our main—this includes a mind blowing 15 kinds of Chef’s selection sashimi, including tuna, salmon, swordfish, uni and prawn, served with En’s Pink Sushi Sauce on a bed of Japanese rice. Perfect for ravenous sashimi lovers, this bowl is full of variety and sure to satisfy any hunger. Jikasei Ankimo Tofu ($10.00++) is an interesting entree at En Sakaba. 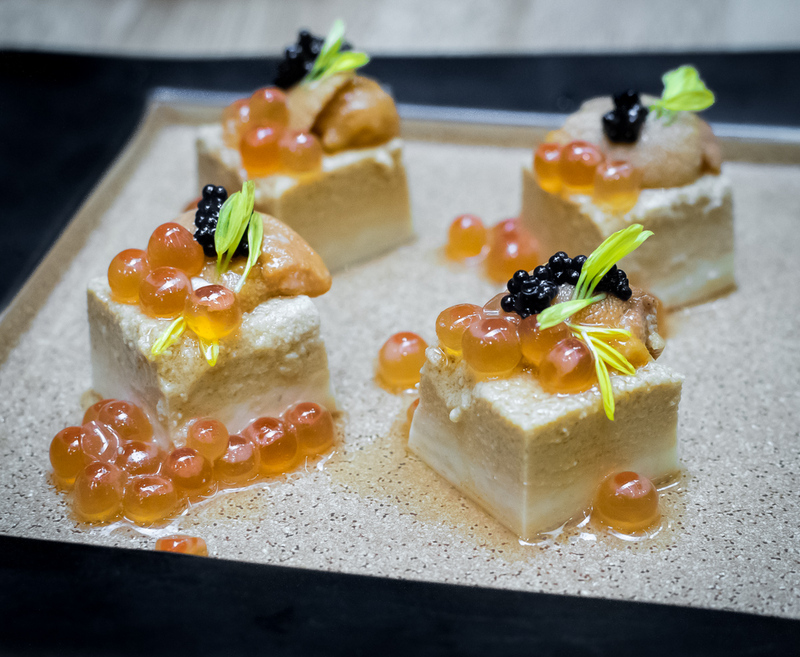 The intriguing monkfish tofu is handmade then topped with uni, caviar and ikura. A creamy tofu experience and who doesn’t enjoy the taste of ikura gently popping in your mouth with briny yet sweet flavour. Another interesting dish at En Sakaba is this Zuwai Kani Miso Kourayaki ($13.00++)—crabmeat with roe and gut that’s been grilled in the shell. 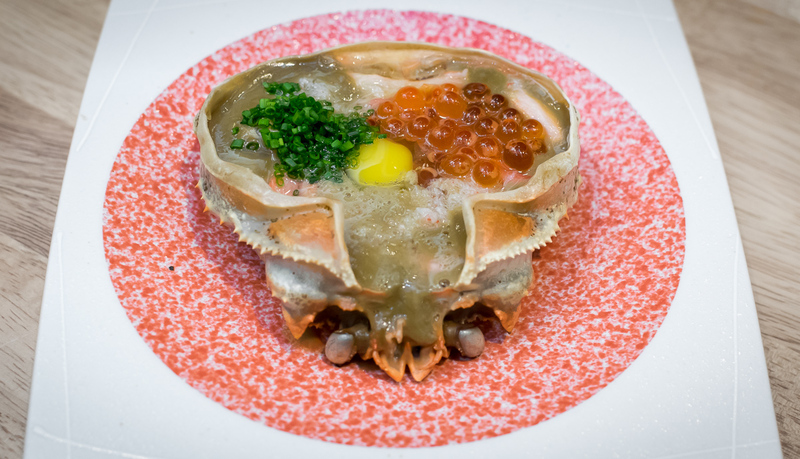 An egg is then cracked into the shell with the crabmeat and topped with ikura and chives. We enjoyed it by mixing all the ingredients together, making it look and taste like a very rich, creamy sauce. This was surprisingly very delicious. Jumbo Hotate Yaki, Grilled Jumbo Scallop ($8.00++) with additional topping of Foie Gras ($5.00++). 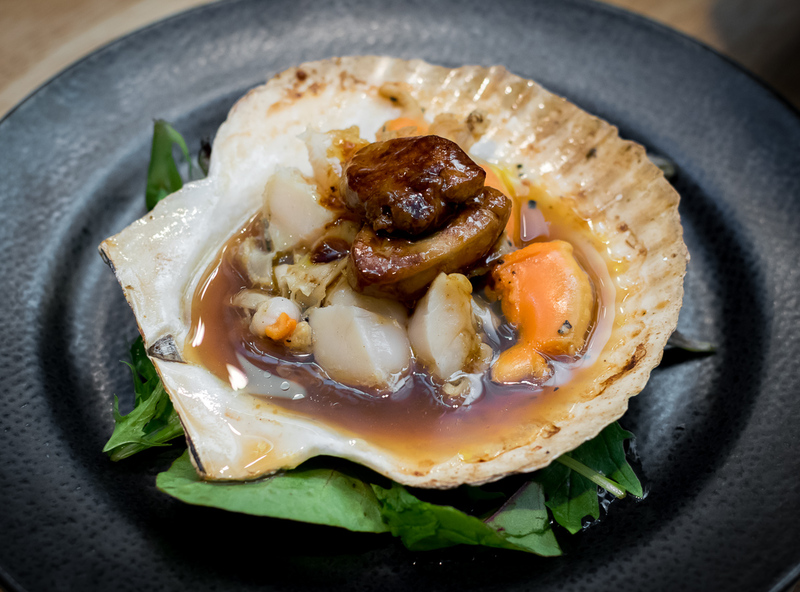 We love the fresh Grilled Jumbo Scallop and the fact that you can add extra toppings, from rich Foie Gras to unctuous Uni or even Mentaiko Cheese! It’s like build-your-own-scallop! Delicately flavoured with light sauce, this is great to have with some sake. 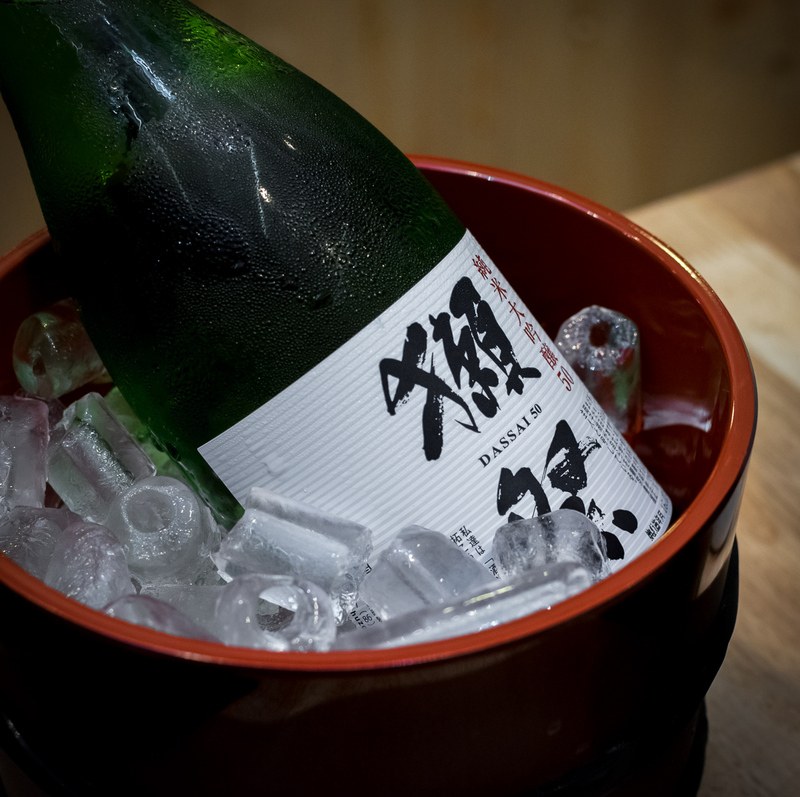 And the sake that we enjoyed with our meal was the Dassai Junmai Daiginjo 50 ($100.00++/720ml). We highly recommend this if you’re new to drinking sake as this has a mild and smooth fruity flavour that makes it easy to drink. En Sakaba is easily located on the ground level of Orchard Central and is great for get-togethers with a few friends. 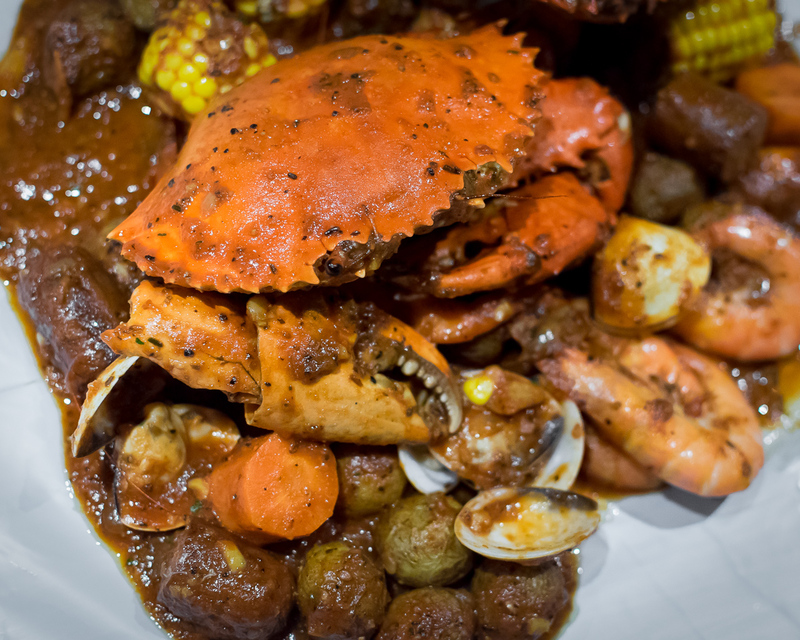 One of our favourite casual dining places in Orchard Central is Dancing Crab. We keep coming back for the succulent crab smothered with our favourite sauces. It’s an unpretentious, family friendly kinda place where all the fun is about getting hands on with your food, in a lip-smacking finger-licking good way. The combo can either be served in a bowl or on the table. We prefer to pour it out onto the table so everyone can grab what they want to eat from the pile. And don’t worry about getting your hands dirty! Dancing Crab has a dedicated corner for you to wash your hands after your meal. 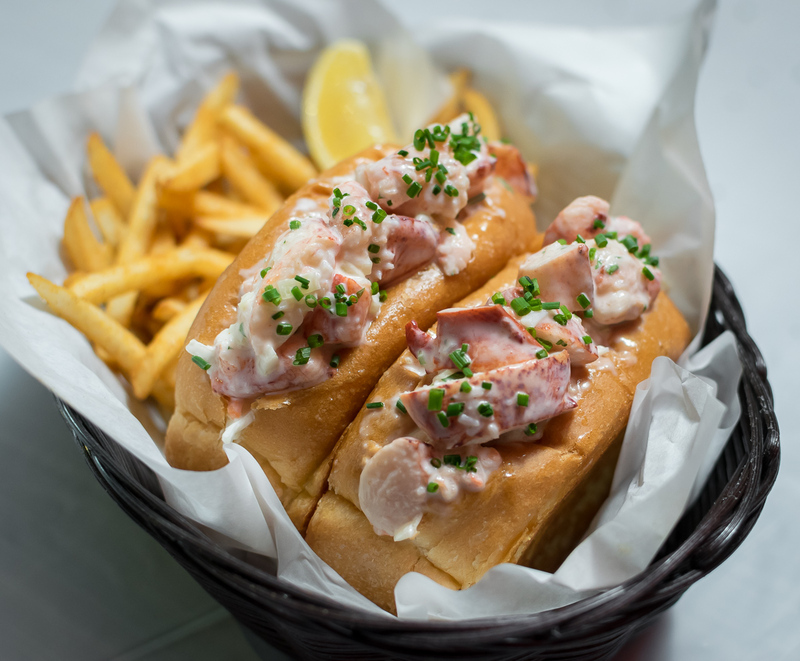 If getting your fingers all saucy isn’t your thing, check out the other options available like the classic Lobster Roll ($29.50++). Generous chunks of juicy Boston Lobster coated with creamy sauce that also comes with a side of fries. 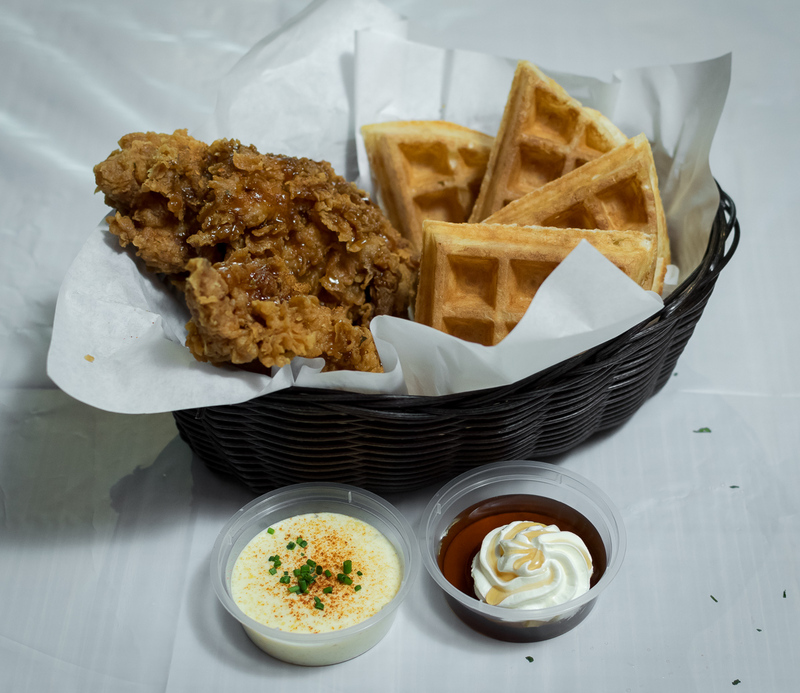 Another great option to share with friends are the Chicken and Waffles ($15.00++). The classic fried chicken is coated in a crisp light batter and is juicily succulent inside. Served with crisp, fluffy buttermilk waffles and butter, maple syrup and cheesy grits on the side. If you’re at Dancing Crab for lunch, the Roast Irish Duck and Waffle ($18.00++—Breast Meat or $20.00++—Leg) is a good option. 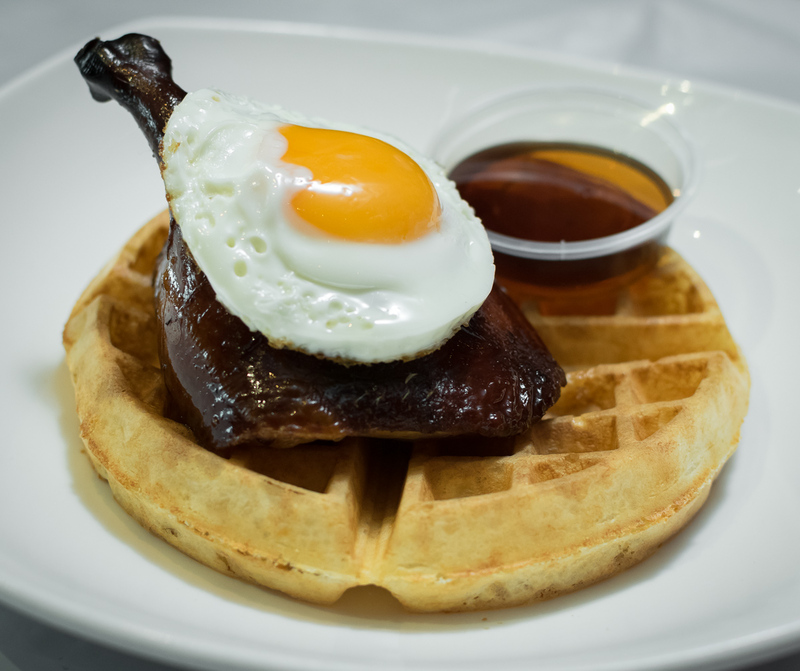 Tender roasted Irish duck is served with crisp buttermilk waffles, oozy sunny side up and a side of maple syrup and butter. Those are just a few of our favourite places in Orchard Central, so the next time you’re looking for somewhere to eat, try the options we’ve suggested above or check out the other options in OC! Previous articleCoffee brewing techniques. What’s the difference?